PlusNet Solutions is a leader in the customer communications industry, providing the world's best solutions in Unified Communications, Business Process Management and Analytics. Find out more about PlusNet Solutions team. Select from our case studies and discover how these organizations are using our Professional Services Solutions to achieve new levels of productivity and efficiency in their communication programs. At PlusNet Solutions, we understand the importance of aligning ourselves with leading companies providing best-in-breed solutions in the Contact Center market. Our customers come to us to help them enhance customer experience, improve collaboration throughout their enterprise and achieve their business goals. 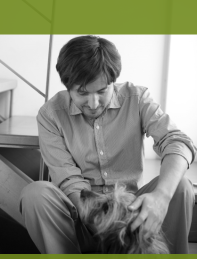 We have opportunities for like-minded people at all levels in the company. 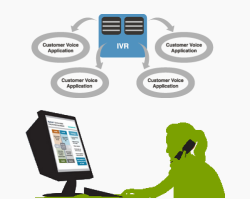 PlusNet Solutions offers packaged IVR solutions with agile implementation times. Survey is a flexible solution that will allow you, by means of a telephone survey, to ascertain your clients’ opinions. Designed for sports clubs and teams, it allows you to provide your clients with dynamic information on the organisation via the telephone channel. Your clients will be able to manage via telephone the assignment of a seat for an event in those cases in which they possess a permanent or annual pass. Destined for companies that supply public utilities (gas, electricity and water), it will provide you with a telephone application where your clients may record meter readings in a comfortable and rapid manner. Business intelligence solutions for contact centres. 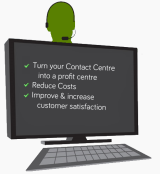 Discover in detail how your contact centre operates, improving performance and saving costs. Global business intelligence solution for contact centres, enabling you to visualise all of your contact centre's operations on the same control panel. Explore with maximum details how your voice portal operates and how your clients interact with it. There is always a way to find a connection between two platforms so that they can operate together adding functionality. FootPrint is a 100% software solution that enables you to record calls (complete, on-demand or guided by rules) within a call centre environment. PlusNet offers solutions in different CTI environments that facilitate the system's development and usability. PD4Skill is excellent software for making calls. The ease with which it is installed, and its intuitive configuration interface, makes it an ideal solution for outbound campaigns. PlusNet ActiveX CTI is a solution that provides API development that accelerates the integration of your management applications or CRM with AVAYA telephony, eliminating the need for complex integrations with the manufacturer's API. PlusNet Solutions provides a full complement of Contact Center consulting services tailored to the individual needs of our clients. We have experienced personnel that can provide complete maintenance services. Our maintenance portfolio can cover any sized environment. During office hours, contact our Help-Desk to resolve incidences. Additionally, you can learn about functionalities, incidences and integrations of your products. Our Contact Center Solutions Delivery team ensures complete end-to-end delivery of complex solutions, regardless of project size and scope. 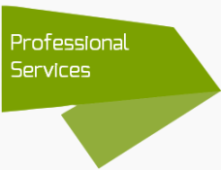 PlusNet Solutions consulting services include customer experience and strategy consulting, optimisation and transformation and customer engagement and lifecycle management. Our knowledge and experience make us the ideal partner for your training needs. If you would like to contact us for specific information about our services, solutions or products, please refer to the contact information here.